The 2019 version of the bill is a bipartisan action. But the backlash against her tweet was severe – and she won’t likely apologize or do anything to fix it. She appears to be so egotistical that she has no real respect for anything or anyone. She’s also lying about “right wing extremists” being responsible for all domestic terror attacks. Mr. Crenshaw did so something, he served his country, unlike you who only served watered down drinks to idiots at the bar! Why don’t you resign, you’re way under qualified and an embarrassment to your constituents! You’re as fake as your black accent! You’re the epitome of the “dumbing of America”. A man who lost a body part while defending YOURS and everyone’s freedom and you tell him to “Do something”. What in the hell is wrong with you lady? I can’t wait until your term is over. You are such a empty headed idiot. Right Wing Extremists? Don’t even start with that crap. It’s you so called tolerant lib tards that have been responsible for most assassinations and crazed murders in this country. Were you born an idiot or is it something you work on every day? 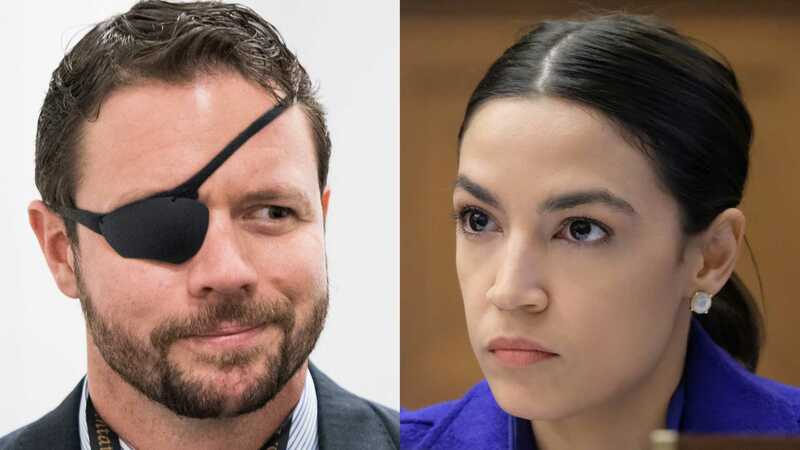 You have no idea what @DanCrenshawTX has done for America, nor do you have any respect for it. Go stand watch, in harms way, and come back home. You just might learn something about sacrifice! Dips*%t!!! Rep Crenshaw retired from the Navy SEALs after 10 years of service. Even after losing his eye from an IED blast in 2012, he deployed twice more to the Middle East and South Korea. He was awarded two Bronze stars, a Purple Heart, and the Navy Commendation Medal with Valor. But he hasn’t done anything for 9/11 victims? Even a modicum of respect would have been nice. We think AOC should be deployed back to the bar.